Richard David DeWert was born on 17 November 1931 in Taunton, MA. 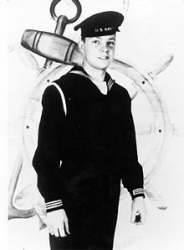 Richard was eighteen years old when he enlisted in the U.S. Navy on 2 December 1948 in Taunton, MA. 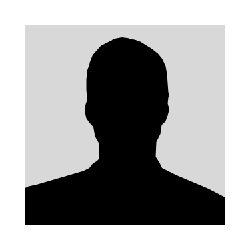 He underwent boot camp training at the Naval Training Center, Great Lakes, IL, where he advanced to Seaman Apprentice. In March 1949 he enrolled as a student at the U.S. Naval Hospital, Portsmouth, VA, from July 1949 until July 1950, during which he advanced to Hospital Corpsman. After his tour of duty in Portsmouth, he was assigned to the 1st Medical Battalion, 1st Marine Division. In July 1950, he joined the Fleet Marine Force and soon sailed for the Far East to take part in the Korean War. Landing with the First Marine Division at Inchon in September 1950, Hospitalman DeWert participated in operations to liberate the city of Seoul. During the rest of 1950, he was involved in the landings at Wonsan, the Chosin Reservoir Campaign and the Hungnam Evacuation. In 1951, Hospital Corpsman DeWert served with the Marines as they cleared North Korean guerrillas from rural areas of South Korea and as they helped drive the enemy beyond the Thirty-Eighth Parallel. On 5 April 1951, while with the 2nd Battalion, 7th Marines during an attack on Chinese Communist forces, DeWert persistently, and in spite of his own wounds, moved through fire-swept ground to aid fallen Marines. He was killed in action while administering first aid to an injured comrade. He was posthumously awarded the Medal of Honor on 27 May 1952, when Secretary of the Navy Dan A. Kimball presented the Medal to DeWert's mother, Mrs. Evelyn DeWert Jones. 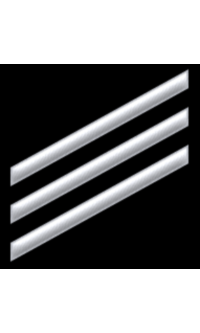 For conspicuous gallantry and intrepidity at the risk of his life above and beyond the call of duty while serving as a[n] HC, in action against enemy aggressor forces. When a fire team from the point platoon of his company was pinned down by a deadly barrage of hostile automatic weapons fire and suffered many casualties, HC DeWert rushed to the assistance of 1 of the more seriously wounded and, despite a painful leg wound sustained while dragging the stricken marine to safety, steadfastly refused medical treatment for himself and immediately dashed back through the fire swept area to carry a second wounded man out of the line of fire. Undaunted by the mounting hail of devastating enemy fire, he bravely moved forward a third time and received another serious wound in the shoulder after discovering that a wounded marine had already died. Still persistent in his refusal to submit to first aid, he resolutely answered the call of a fourth stricken comrade and, while rendering medical assistance, was himself mortally wounded by a burst of enemy fire. His courageous initiative, great personal valor, and heroic spirit of self-sacrifice in the face of overwhelming odds reflect the highest credit upon HC DeWert and enhance the finest traditions of the U.S. Naval Service. He gallantly gave his life for his country. The frigate USS DeWert (FFG-45) was named in honor of Hospitalman DeWert. A clinic in Newport, RI, was named after DeWert on 17 September 2004. The clinic at the Marine Cold Weather Base in Bridgeport, CA, was named for DeWert in October 2004. A scholarship fund at Pepperdine University has been named for DeWert. Richard David DeWert was killed in action on 5 April 1951. He is buried in Massachusetts National Cemetery in Bourne, MA.